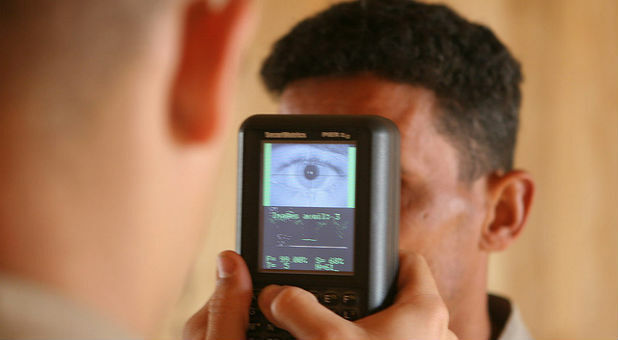 Did you know that the United Nations intends to have biometric identification cards in the hands of every single man, woman and child on the entire planet by the year 2030? And did you know that a central database in Geneva, Switzerland, will be collecting data from many of these cards? Previously, I have written about the 17 new “Global Goals” that the UN launched at the end of September. Even after writing several articles about these new Global Goals, I still don’t think that most of my readers really grasp how insidious they actually are. This new agenda truly is a template for a “New World Order,” and if you dig into the sub-points for these new Global Goals, you find some very alarming things. Of course, all of this is being framed as a “humanitarian” venture right now, but will it always stay that way? I could definitely foresee a day when not having “legal identification” would disqualify you from holding a job, getting a new bank account, applying for a credit card, qualifying for a mortgage or receiving any form of government payments. What the elite want to do is to make sure that everyone is “in the system.” It is a system that they control and that they manipulate for their own purposes. That is one of the reasons why they are slowly but surely discouraging the use of cash all over the world. Since 2009, the average annual value of notes and coins in circulation in Sweden has fallen more than 20 percent from over 100 billion to 80 billion kronor. What is driving this movement to destroy cash is the desire to unleash the Swedish central bank to drive the interest rate down even further into negative territory. However, if cash were abolished and bank deposits were the only form of money, well then there would be no limit on negative interest rate policy as banks would be able to pass these negative interest rates onto their depositors without adverse consequences. With everyone’s wages, salaries, dividends etc, paid by direct deposit into his bank account, the only way to escape negative interest rates would be to spend, spend, spend. If you aren’t using cash, that means all of your economic activity is going through the banks where it can be watched, tracked, monitored and regulated. Every time the elite propose something for our “good,” it somehow always results in them having more power and more control. Note: Responsibility for the content of participants’ public communication related to the Ten Principles of the UN Global Compact and their implementation lies with participants themselves and not with the UN Global Compact. Explaining why we need to make our identity as members of humanity a priority. |@:ReformationCharlotte|Why Are Homosexuals Leading the Church's Conversations on Marriage and Family?